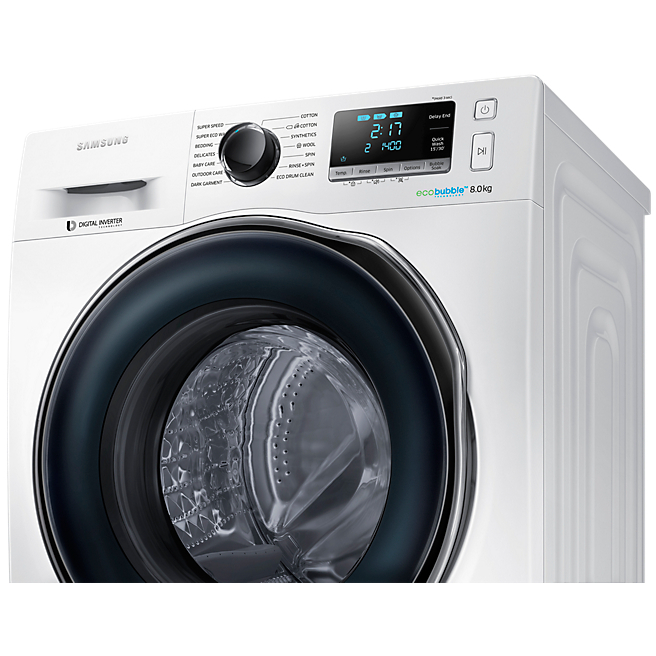 For effective and efficient performance, the Samsung WW80J6410CW freestanding washing machine demonstrates an impressive A+++ energy rating for an economical home. 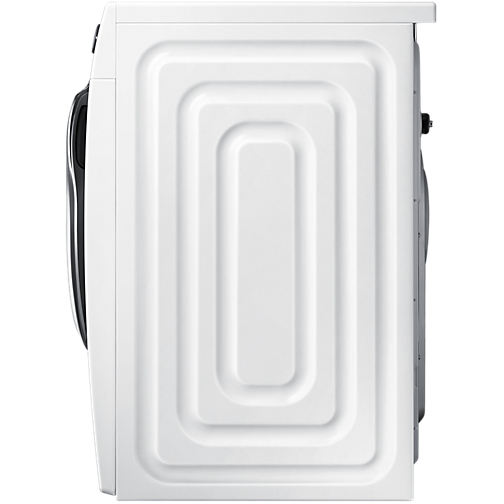 Bubble soak This clever function lets you bathe your laundry in powerful, cleansing bubbles to loosen up tough stains. 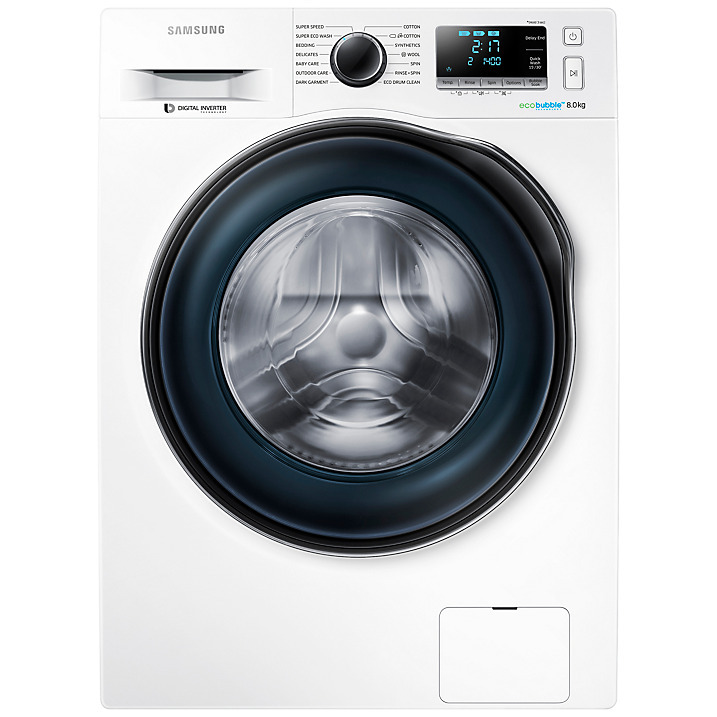 ecobubble Technology Efficient ecobubble™ technology mixes air, water and detergent to create bubbles that penetrate your clothes faster, helping you wash at cooler temperatures, which is better for the environment and your bills. Super Speed Wash A clever twin water supply fills your machine faster, while a spin speed rinse accelerates your cycle, cutting a standard 5kg wash (that’s 25 t-shirts) to just 60 minutes. Digital Inverter Motor Samsung’s Magnet-driven motor delivers superior energy efficiency with minimal noise and with a 10 year warranty. 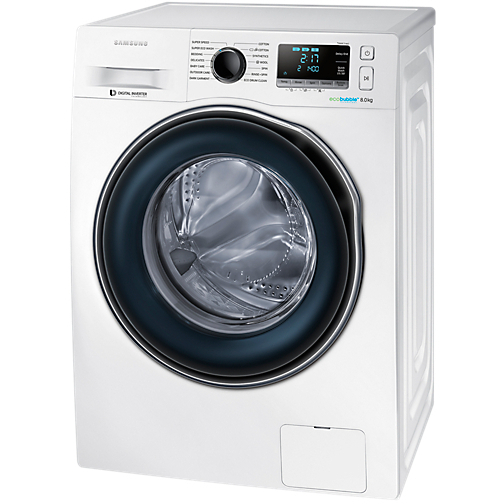 The Diamond drum is water-cushioning to take extra care of your clothing. Diamond Drum This model has a unique water-cushioning drum for extra clothing care, so no matter what you need to wash, there’s no need to worry about it coming out damaged.